Americans had lived with painful business cycles throughout their history, but the Great Depression was unprecedented in breadth, depth, and duration. Optimistic after World War I, firms over-invested in factories. Farmers over-invested in equipment and land. Americans took on consumer debt for the first time. Unregulated banks made bad loans and held inadequate reserves. Investors, including middle-class people, speculated in the stock market. When all of these bubbles burst, economic chaos shook the nation. In the late 1920s, banks ran amok—abandoning conservative standards to free up capital for risky investments. There were few government regulations to restrain them. By December 1930, banks were failing at an unprecedented rate. Citizens lost their savings; businesses lost the money they needed to operate. The depth and length of unemployment during the Great Depression was unique in American history. At its height in 1933, nearly 25 percent of the labor force was jobless. Unemployment stayed above 15 percent through the 1930s. American agriculture, which had peaked during the 1910s, went bust after World War I. Global demand for food and cotton fell, and prices crashed. Drought destroyed crops. Farmers could not repay loans. Finally, the shift from horse-powered to gas-powered farming equipment reduced the need for tenant farmers. Drought and poor farming practice turned much of the high plains into a dust bowl. With no government safety net, Americans often banded together to survive. For example, Portia Sperry made opportunities for herself and others. 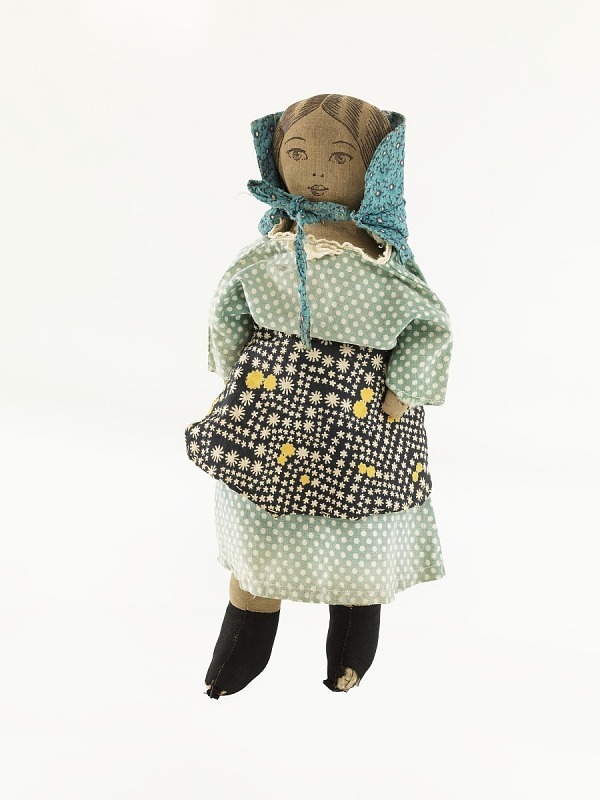 She designed a doll, assembled a network of farmwomen to make it, and convinced Marshall Field to sell it.